I wandered into a local neighborhood produce store, hoping to find something unique for our vegetable challenge. The selection was fine if I just wanted to buy some produce but trying to find something unique proved to be a challenge in itself. 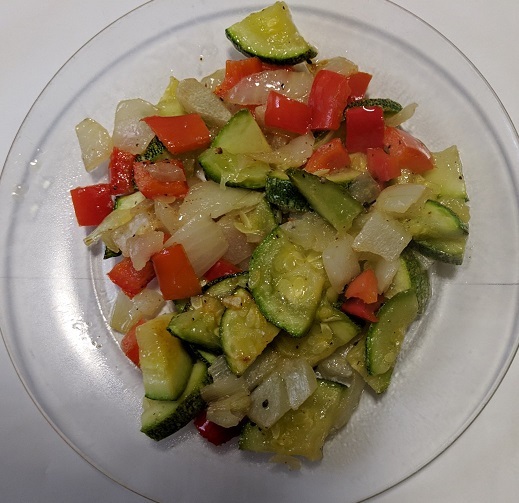 After wandering through the produce aisles two or three times, I spied some cousa squash on the shelf above the zucchini and yellow summer squash. I was way too excited to find a squash, let’s just say that. I knew nothing about cousa squash so I searched on Google for it. 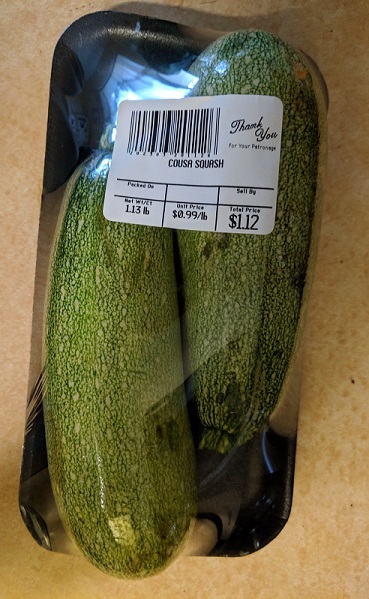 Apparently, the cousa squash is from the Middle East and is similar to zucchini and other summer squash. 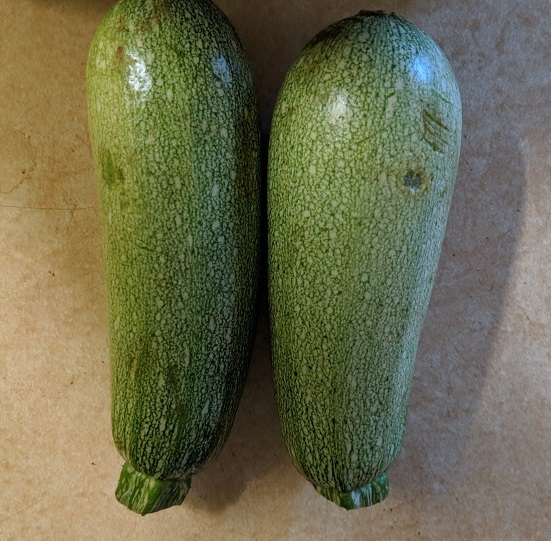 I think it’s a bit sweeter and its shape is shorter and a bit fatter than zucchini but it is indeed very similar. I’m sure you could substitute zucchini and cousa squash for each other in any recipe. I saw lots of recipes for stuffed cousa squash. Basically you stuff them with a mixture of meat, rice, spices, and some other vegetables. I didn’t have the ingredients or the patience to make stuffed squash so I opted for a simpler dish. Oil of choice. You could use olive oil. I chose to use avocado oil because that’s what I had on hand. 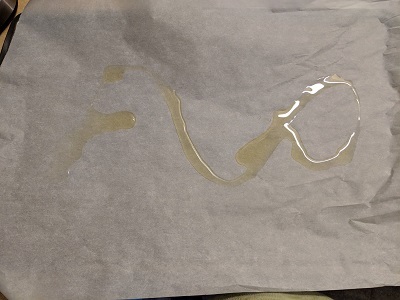 Line baking sheet with parchment paper and add a bit of oil. 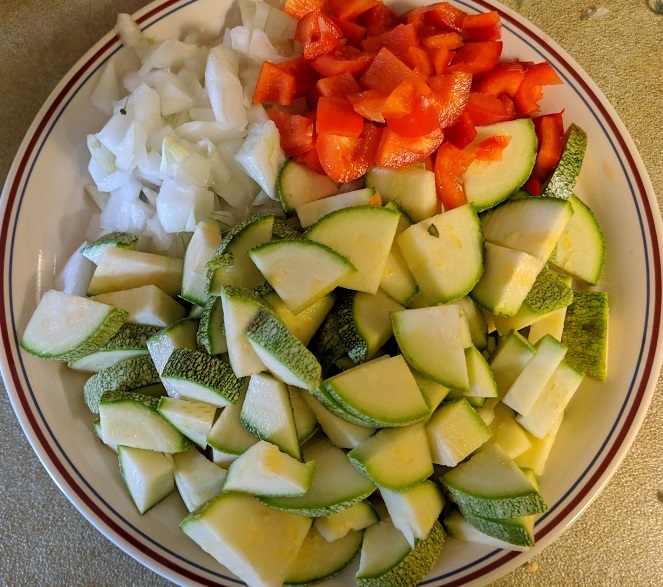 Dice the vegetables and mix together. Add a bit more oil directly to the vegetables and mix. Sprinkle the spices on and then pour out onto the baking sheet. Bake for about 20 minutes, stirring the vegetables about half way through. Even though you’re roasting these vegetables, the squash has a lot more liquid in it than you find in many vegetables. So this dish won’t roast in the same way as the vegetables we often roast such as winter squash, Brussels sprouts, cauliflower and so on. Instead, this is more similar to a sauteed dish. The squash will be soft. 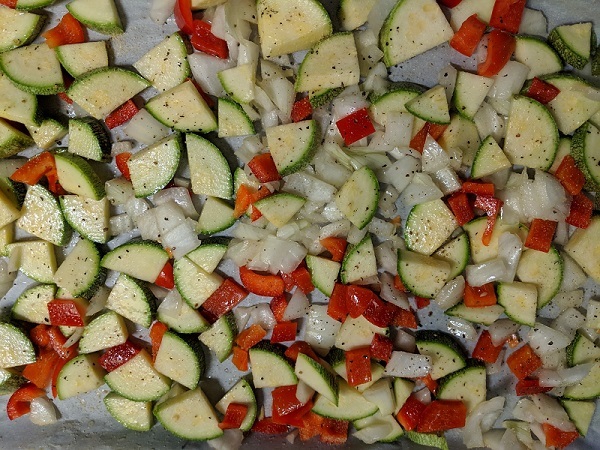 I chose to roast this in the oven but you could make the same dish and saute it instead in a good sized saute pan. You could also add a bit of cayenne pepper to the seasonings. Once you’ve cooked this, you can serve it as is for a side dish or sprinkle a little parmesan cheese on it. You can also add this to an omelet or frittata or add it to some rice or quinoa to make a pilaf. ← Free Range Eggs – What Does That Actually Mean?